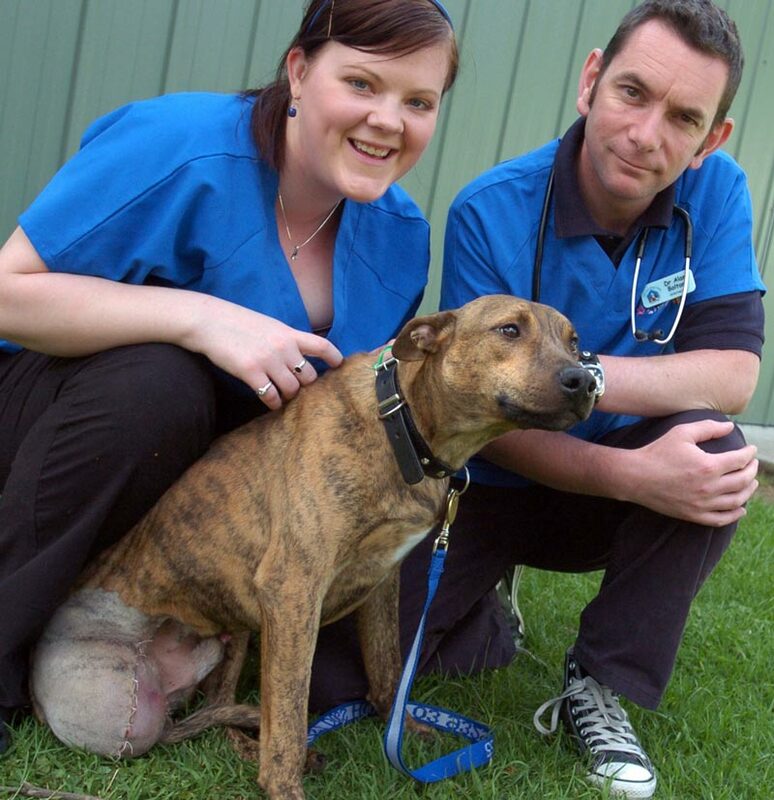 Brock, a male stray staffie cross came to The Lost Dogs’ Home on 31 October 2007 with a broken hind leg. He was immediately given pain relief and closely cared for in the Hospital. Sadly, no one came to claim this good natured dog and so eight days later, he underwent surgery to repair his fracture to prepare him for adoption. Unfortunately, Brock’s muscles surrounding his fractured leg had contracted to protect the break and a repair was not possible. During surgery, Dr Alan Bolton made the difficult decision to amputate Brock’s leg. The good news is that Brock made a full recovery and bounces around like he never had four legs! The staff in the Hospital had become very attached to this docile stray and hoped he would be adopted by a family who could nurse him back to full strength after a tumultuous few weeks. Brock was fortunately adopted by a loving family and is enjoying a good quality of life.